your local connection to exploring Florida real estate and successfully purchasing the perfect holiday property. New Construction 32-story condominium project has 40 units remaining. Developer is offering free upgrades and special pricing. 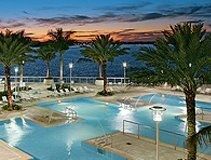 Luxury Resort living, 1, 2, & 3 bedroom condos, granite, stainless steel, and tile throughout. 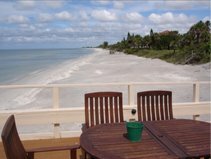 Rare opportunity to own a Sarasota, Florida resort propert on the Gulf Coast beaches. These properties are part of a resort that allows strong rentals through the in-house program. Rental property has 100ft of beachfront footage located on a 7 mile stretch of pristine white sand. 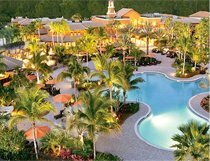 This Ft. Meyers, Florida stock development resort was awarded "Community of the Year" for the 7th straight year. A 26,000 sq. ft. Village Center with luxury style pools, top tier spa, fitness center, restaurants, movie theater, ice cream parlor, internet cafe, tennis courts and much more. Flats and Townhomes. New pre-construction WCI community located just South of Sarasota, Florida features a championship golf course (Membership not required) and close to the white sand beaches. Planned amenitites: resort clubhouse, fitness center, tennis and swimming. 3 bedroom Homes offer 1750 sq. ft. of A/C space. Receive email alerts for special offers. "Can I get Financing in the US?" "Do I pay the same taxes as a US Citizen does?" To assist you while you are in florida, we have a sister real estate agency available for you. Our goal is to make buying Florida Real Estate an Exceptional Experience.